Children in the U.S. report distressingly high rates of exposure to violence. In a 2009 survey, the U.S. Department of Justice found that an alarming 60% of children had encountered violence during the previous year, and in the very places they should feel most safe: at home, in school, and in their neighborhoods. 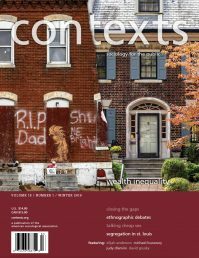 In the Journal of Health and Social Behavior, Dana C. McCoy, C. Cybele Raver, and Patrick Sharkey use a biopsychosocial approach to explore the impact of exposure to community violence on the cognition and attention of children living in Chicago’s low-income neighborhoods with high crime rates. They use public police data to map the distance between children’s homes and violent crimes and to track the amount of time between a crime and each child’s cognitive assessment. 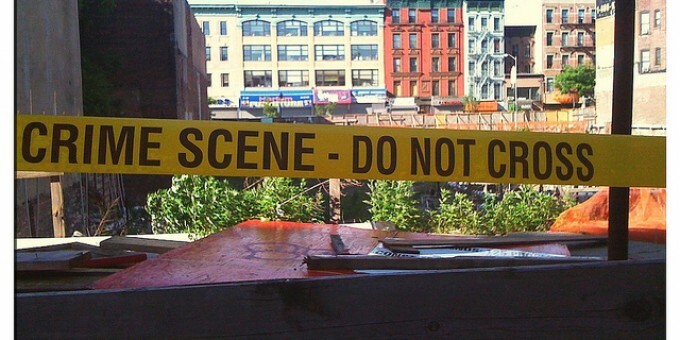 Children assessed no more than a week after a violent crime took place in their neighborhood performed cognitive tasks faster, but with less accuracy, than children in the same neighborhood assessed before the crime or at least two weeks afterward. Children’s self-reports of anxiety, a trait that could influence susceptibility to the negative effects of community violence, were related to cognition. Interestingly, less anxious children showed greater cognitive performance effects with exposure to violence; more anxious children’s performance was not noticeably affected by proximity to violence. Less anxious children showed adaptive cognitive responses to stressors (i.e., attending to negative emotional images more) than children with high levels of anxiety, who were more likely to respond in maladaptive ways (i.e., avoiding negative emotional images). McCoy and colleagues conclude that proximity to violence seems to affect children differently based on psychological traits. Anxious children may have fewer cognitive resources to devote to mental coping strategies when they encounter community violence. Programs intended to help children, then, should differentiate treatment according to individual psychological traits to better address the negative effects of community violence on children’s mental health. Contexts is a quarterly magazine that makes cutting-edge social research accessible to general readers. We're the public face of sociology. It is a publication of the American Sociological Association, edited by Rashawn Ray (University of Maryland, College Park) and Fabio Rojas (Indiana University).